Why not keep my blog updated as much as my other social media crap, I say to myself? Good idea, I say back to myself, with no quotation marks to hinder the conversation. 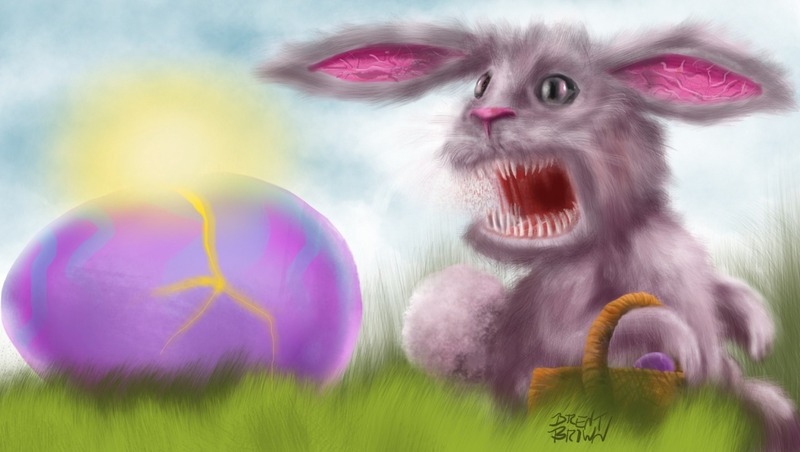 Why not do it today with that twisted Easter Bunny illustration you drew on your iPad in Procreate yesterday? Hey! Say I, that would be the perfect thing to put there for all me to enjoy, since I’m talking to myself, why not update a blog that only I read for myself as well?? On March 14, 2013, I was part of a panel of local cartoonists invited to Western Carolina University in Cullowhee, NC, to discuss our work as local cartoonists, as it pertained to “Southern Stereotypes in The World of Cartoons” as part of the Universitiy’s “Comic Stripped” exhibit taking place in the Southern Heritage Museum. 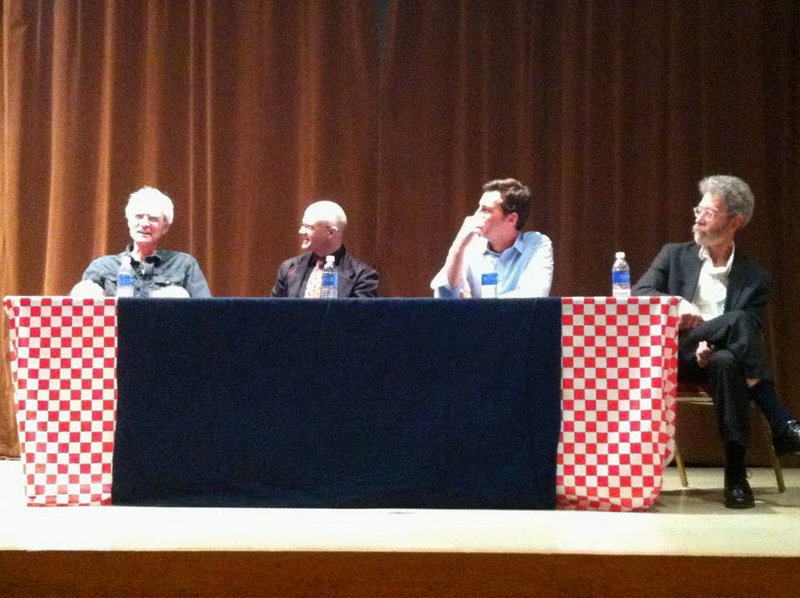 Of course, the creators of those well-known displays are either no longer alive, or too famous to show up for this panel, so the school very graciously reached out to local-grown talent to share their experience of creating comics/cartoons in the South, for the South, and presumably, about the South. As a weekly cartoonst for the Asheville alt-weekly paper, “The Mountain Xpress” for the last six years or so, I was invited to share my cartoons that depicted such themes. Also on the panel were my fellow Mountain Xpress colleague Randy Molton, former Mountain Xpress cartoonist, and current political cartoonist for the daily paper of record in Asheville, the Citizen-Times, David Cohen; and resident WCU Political Science professor, Chris Cooper. 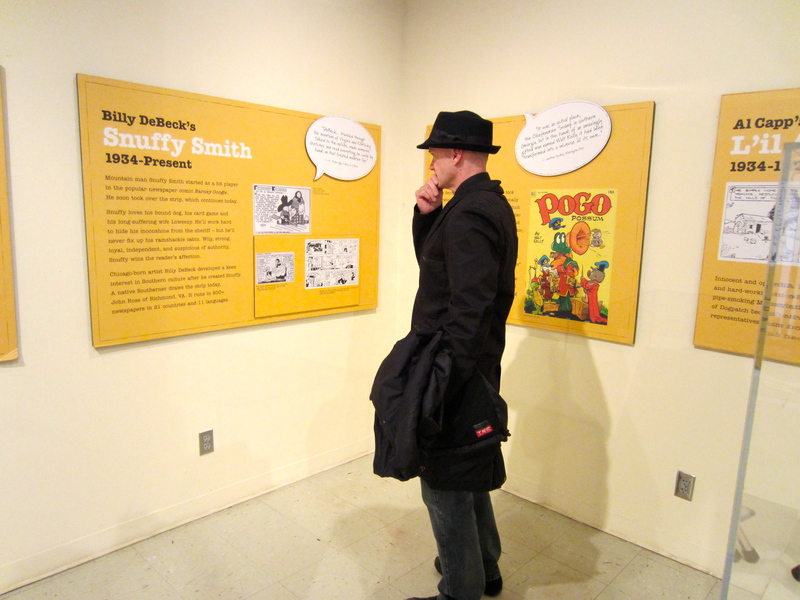 Brent Brown contemplates exhibit of Southern-themed comic strips at WCU. It was apparent that the organizers of the exhibit and the panel had gone to great lengths to create a beautiful display of the genre and that genuine enthusiasm and care had gone into making the artwork displays expressive, lively and interesting. 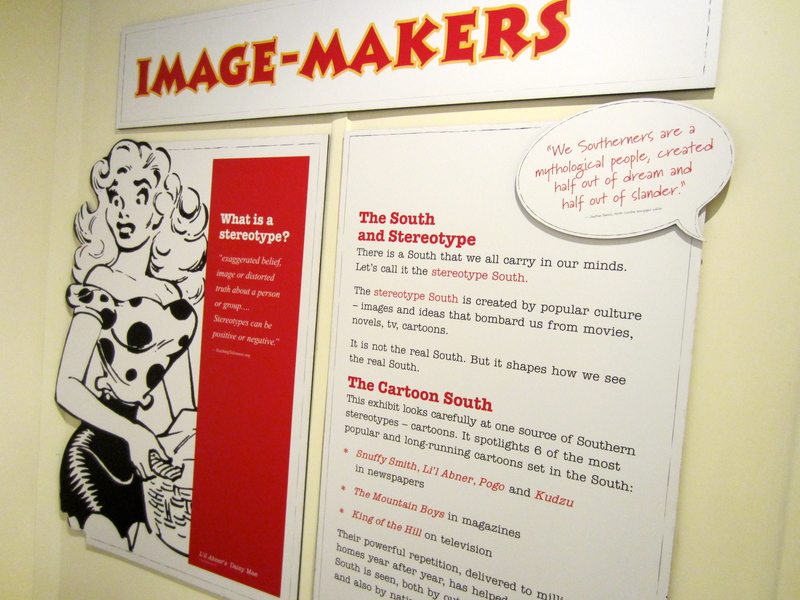 Detail of exhibit of Southern-themed comic strips at WCU. I was proud to have my own work put on display in the lobby outside the lecture hall as well, even if it was not in the same iconic class as the well-known comics in the gallery. 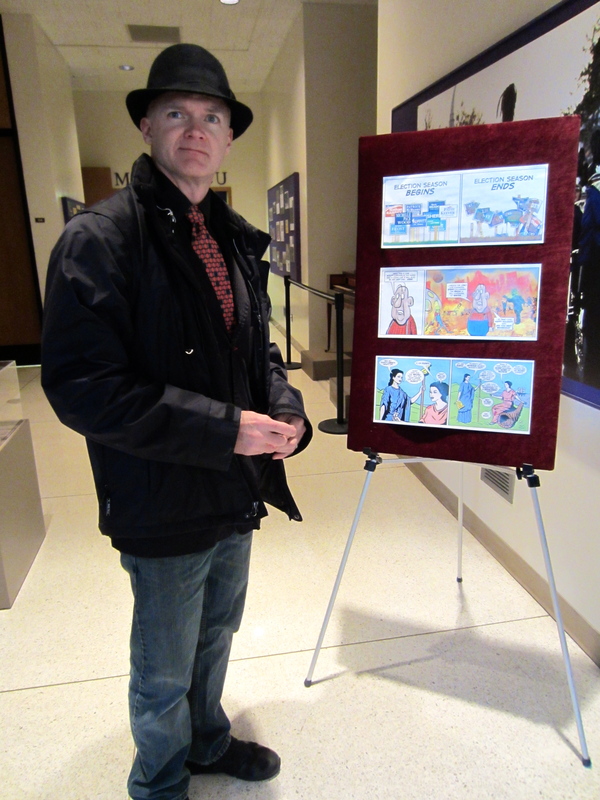 Brent Brown with exhibit of enlarged Southern/Appalachian themed comics he has done. Sadly, aside from me, my fellow panelists, the accommodating and friendly folk from WCU who invited us, and the significant others we brought with us, there may have been about three other people who actually showed up to the discussion. For those few, we had a lively and sometimes humorous discussion throughout the designated time period in the mostly empty hall. 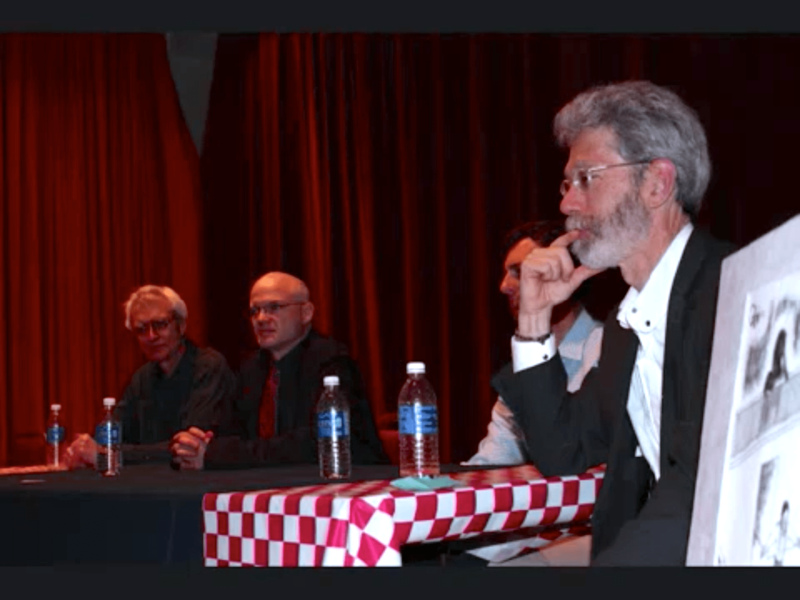 Randy and David gave thoughtful and considered answers in response to questions while I rambled on like a grumpy stand-up comic until time had run out. I can’t pretend the seemingly apathetic turnout to what I would have considered a must-see event in my youth (REAL cartoonists talking and big displays of COMICs??) was not a bit of a letdown, and can’t help feeling like it was a depressing barometer of the interest in comics in general or my work in particular. It also evoked sympathy on my part for the work the organizers had put into it. Their fulsome enthusiasm contrasted with such apathetic snubbing by the students/public of the event to such a degree that I felt worse for them, than for me. Maybe comic strips are becoming a relic of a bygone era. I mean, at nearly 50, I am still the youngest of the cartoonists present (you can’t tell by looking, but it’s true), so maybe if it’s not anime or manga, people of a younger generation aren’t interested. Also, print media may not have the allure for a demographic raised on electronic screens and unlimited visual content from limitless sources that it once held for me when the only time you could glimpse a color cartoon was in a Sunday paper or a Saturday morning television block. Comics and cartoons were a rare treat in those days, so they seemed to mean more. With cable networks devoted to them and web comics galore, they are as prevalent, and as overlooked as a kudzu vine. 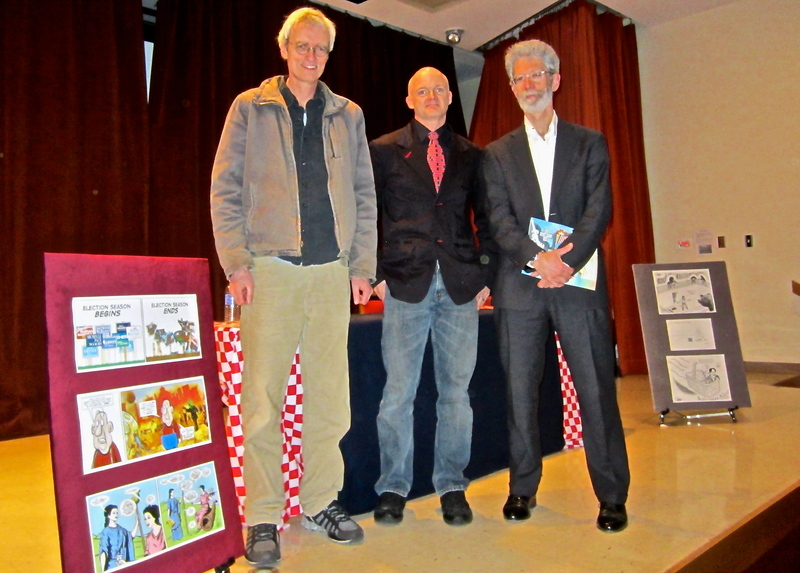 Local area cartoonists: Randy Molton, Brent Brown and David Coehn at panel discussion and exhibit of Southern-themed comic strips at WCU. Still, I appreciate their efforts, and enjoyed the time we spent there, even if no one else in the vicinity really seemed interested at all. It was nice to be part of group recognized for what they do, even if no one recognized it happened. Afterwards, Paul Clark, a writer for Carolina Public Press did a phone interview with me on the subject. 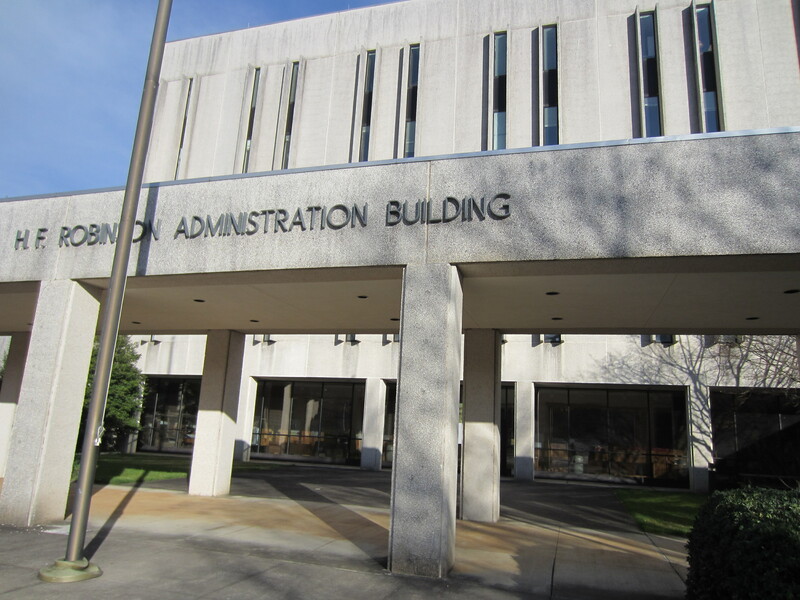 This well-crafted piece debuted on April 9, 2013 to yet another round of intense apathy from the online reading public.